Hi y’all! Are you a fan of Mardi Gras, but don’t even know where to begin to celebrate? 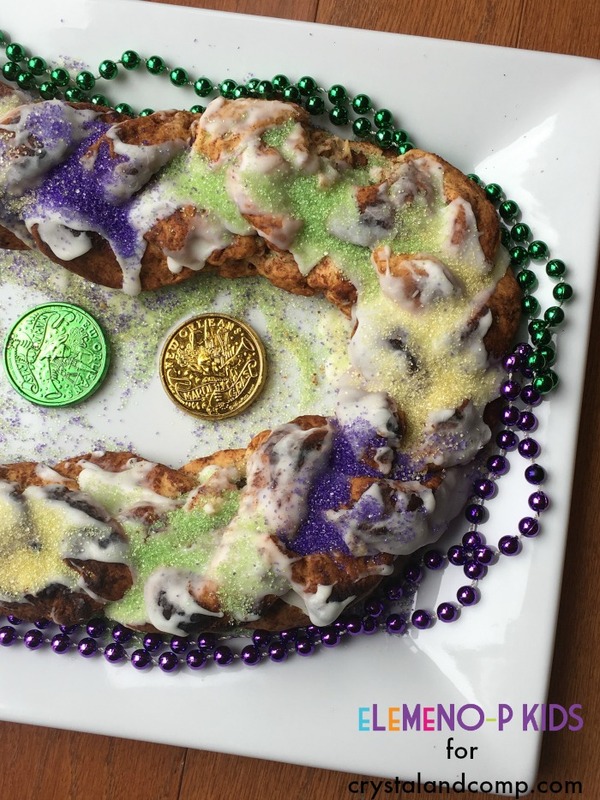 Have you ever wanted to taste the scrumptious king cakes that they serve during Mardi Gras? 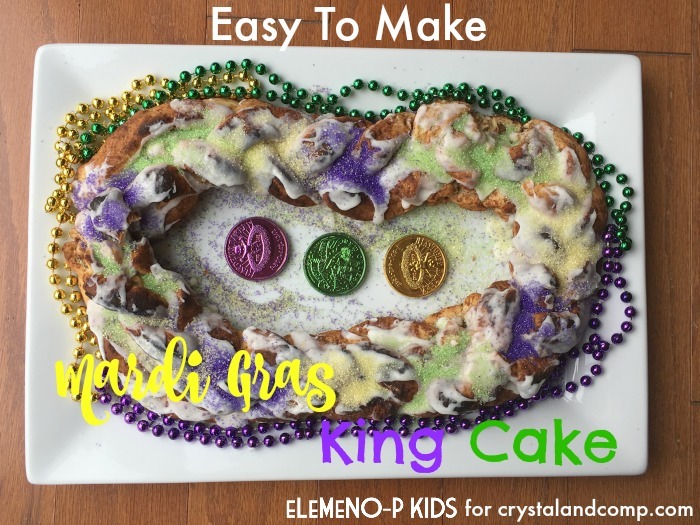 I’m here today to share with you my easy Mardi Gras king cake recipe! 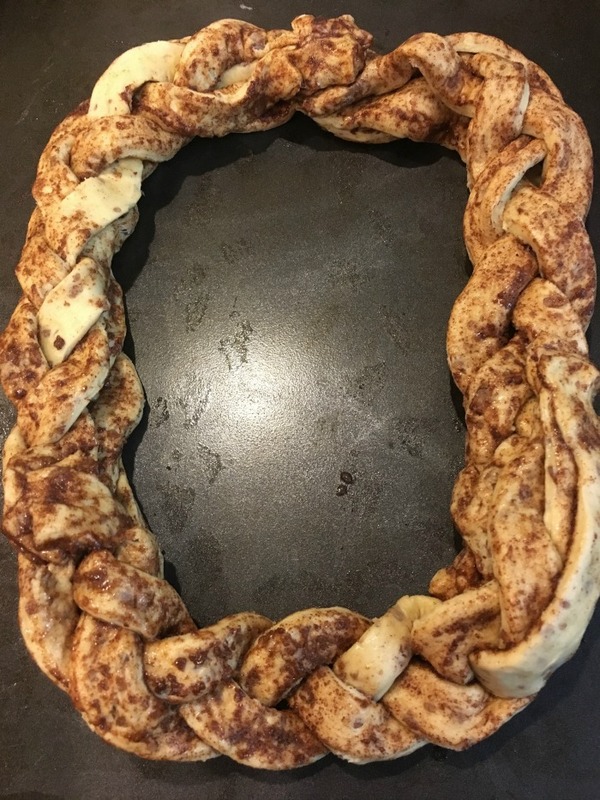 This is truly simple to make and will put some purple, green, and gold on your table in no time! It’s perfect for celebrating your own Mardi Gras even if you don’t live in New Orleans! I am a true Mardi Gras fanatic. Being born and raised in New Orleans, I celebrated Mardi Gras every year as a child, and have continued that tradition with my family here in Cincinnati. There’s just something so fun about all the colors, parties, people going crazy over beads and cheap trinkets. It’s such a fun holiday to celebrate and your kids will love it! Optional: Insert a plastic King Cake baby into the bottom of your cake. What’s the deal with the baby? 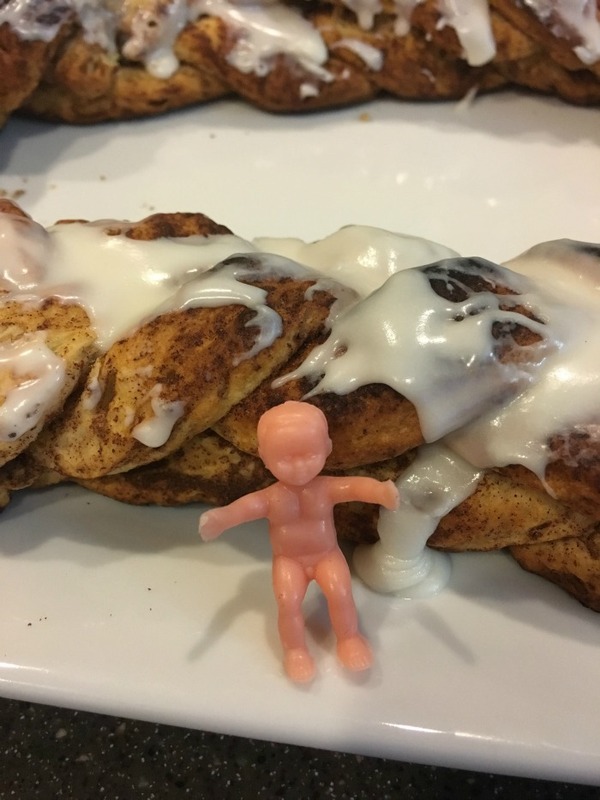 The baby symbolizes luck and prosperity to whoever finds it in his/her slice of cake and in some traditions the finder of the baby is that evening’s designated “king” or “queen”. For extra flair, decorate your cake with Mardi Gras beads and doubloons. There you have it! 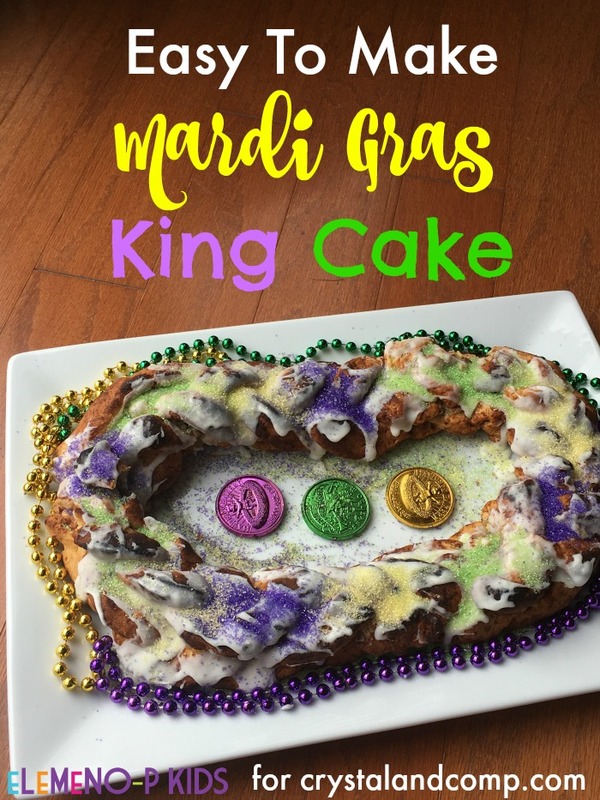 Your very own, super easy Mardi Gras king cake! 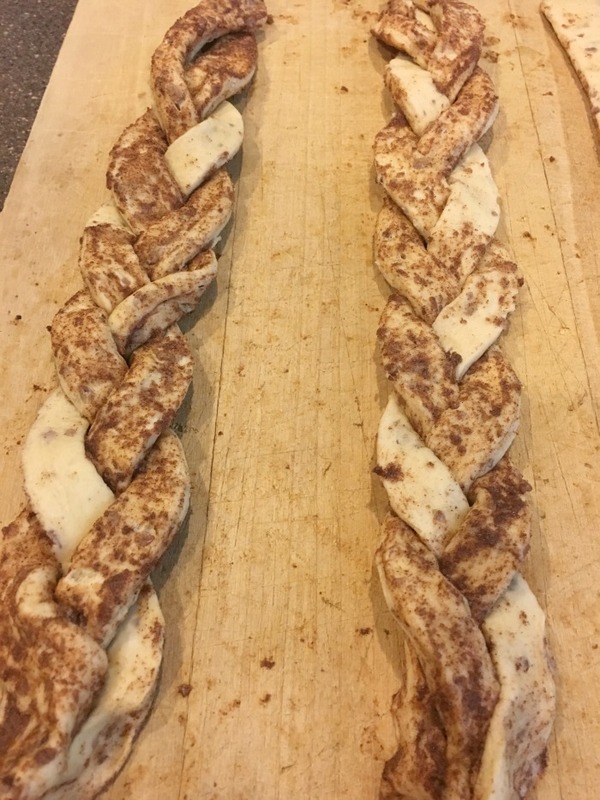 Want to try an authentic king cake from New Orleans? I HIGHLY recommend Haydel’s Bakery in New Orleans. They ship directly to you a fresh, authentic king cake. 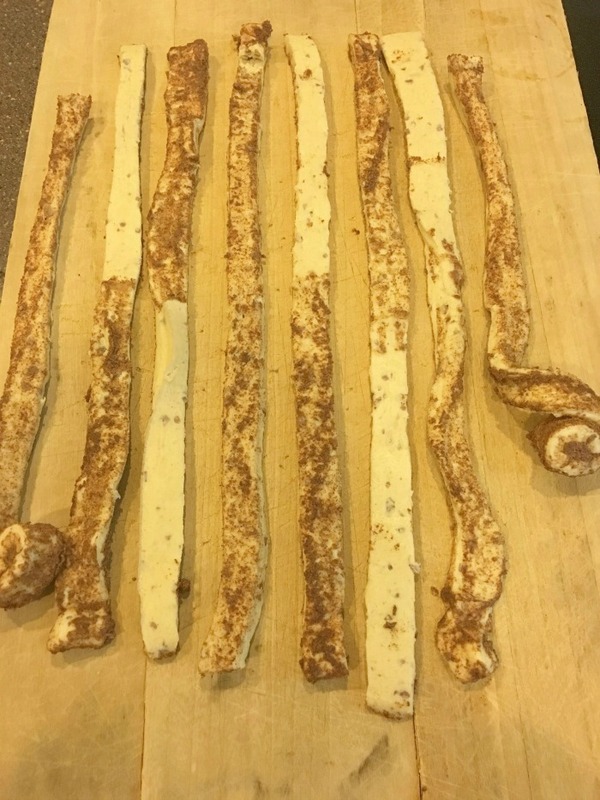 If you’re a first time king cake taster, my recommendation is to stick with the traditional flavor. There are many other options of flavors though, cream cheese stuffed being my second favorite! 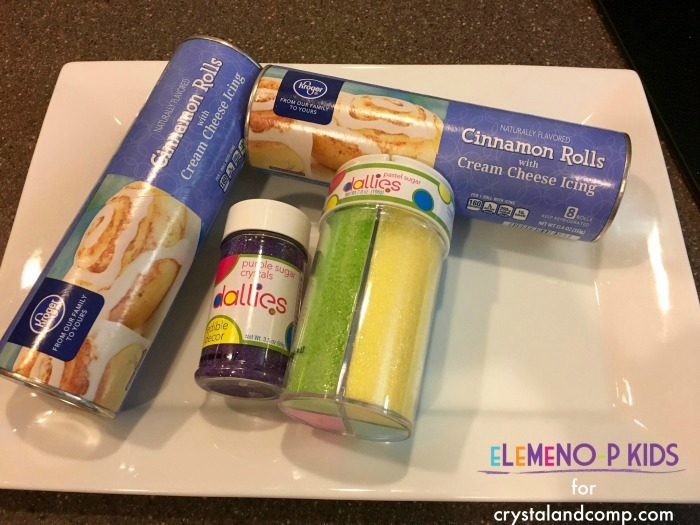 If you want to host your very own Mardi Gras celebration, it’s on Tuesday, Feb. 28 this year and you can find a lot of festive Mardi Gras activities for your kids to make over on my blog.